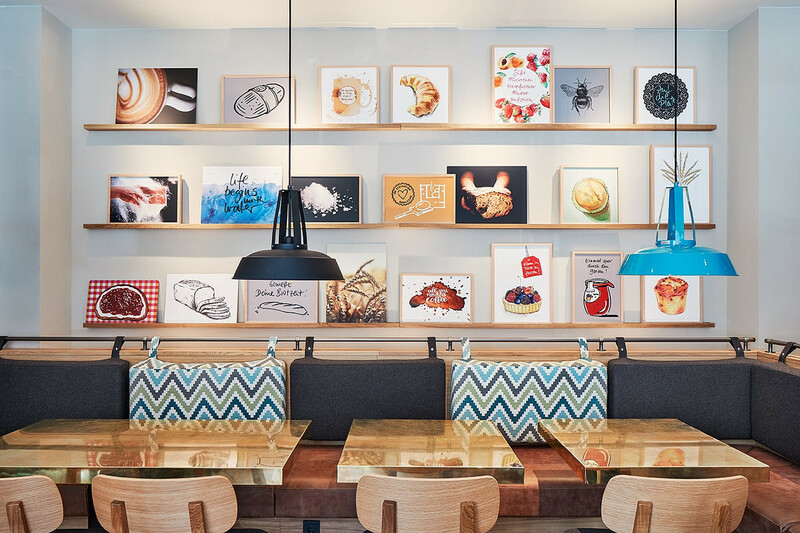 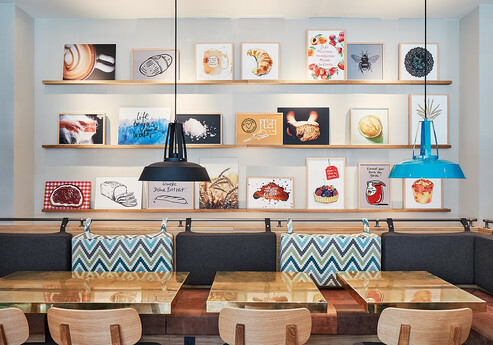 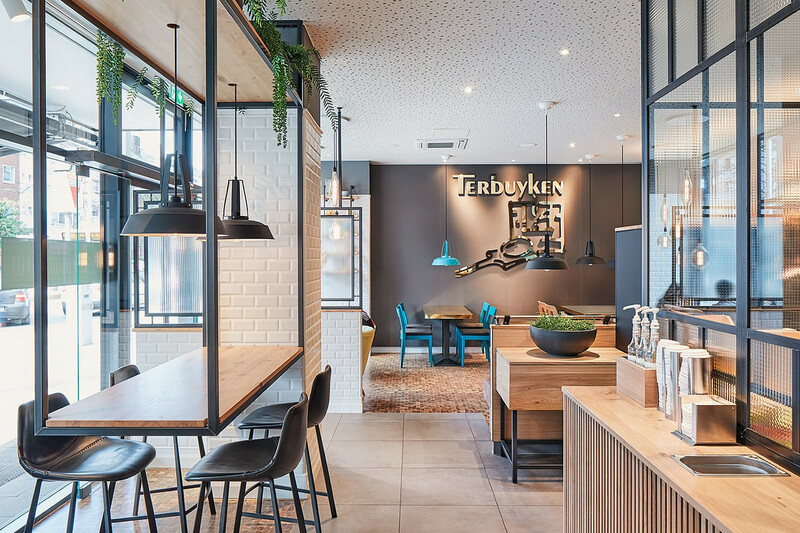 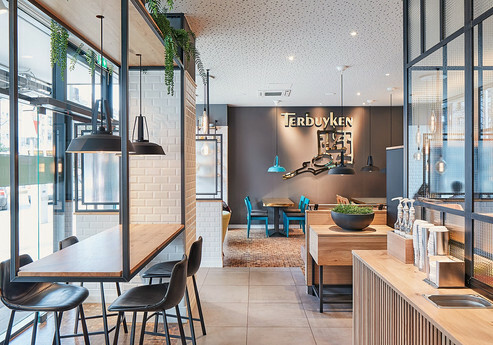 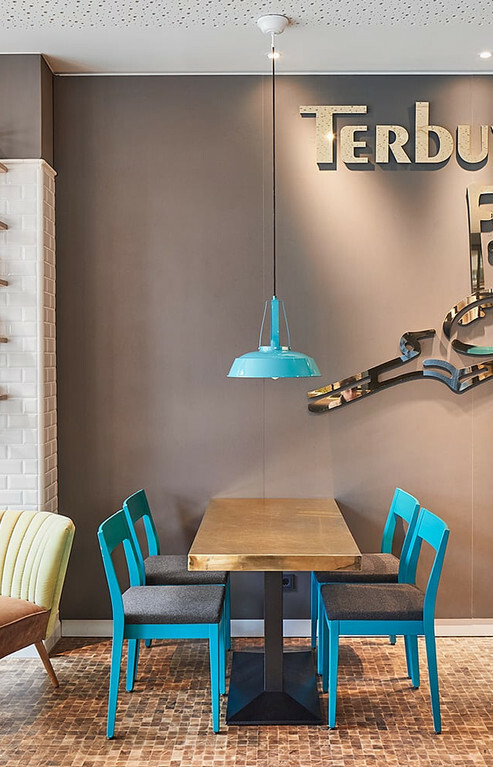 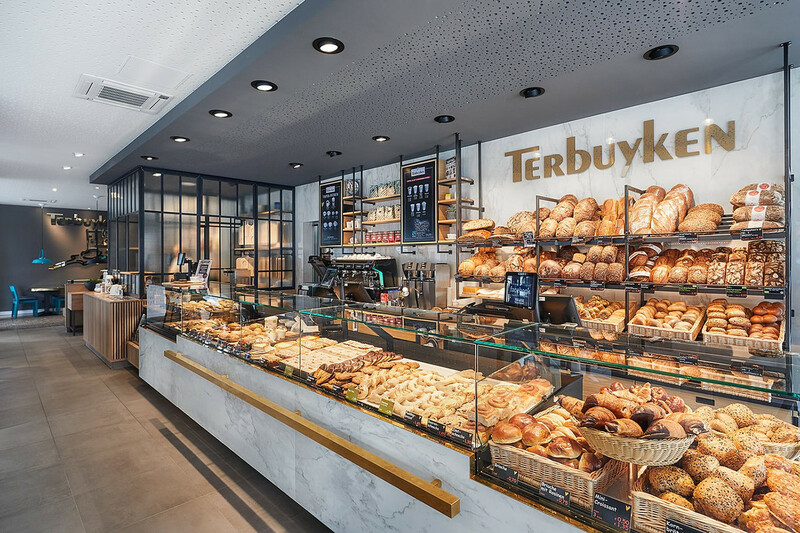 The new Terbuyken bakery and coffee shop clearly distinguishes itself from the common chain bakeries. 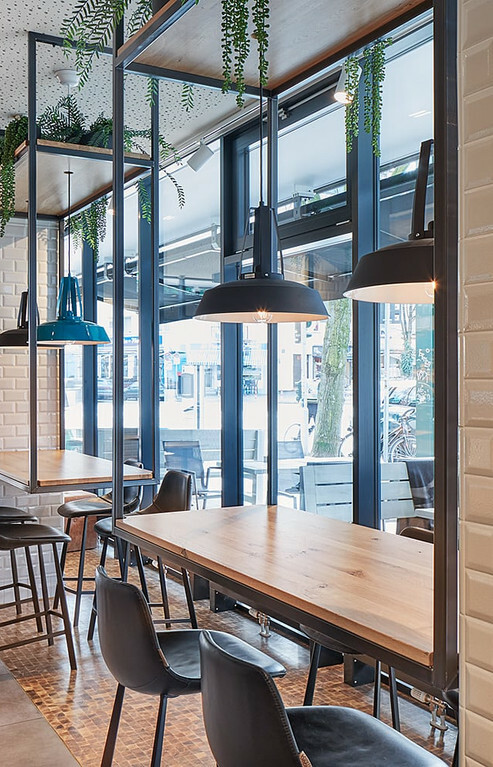 With its unique modern and stylish atmosphere it perfectly fits in the hip scene of Düsseldorf’s Flingern quarter. 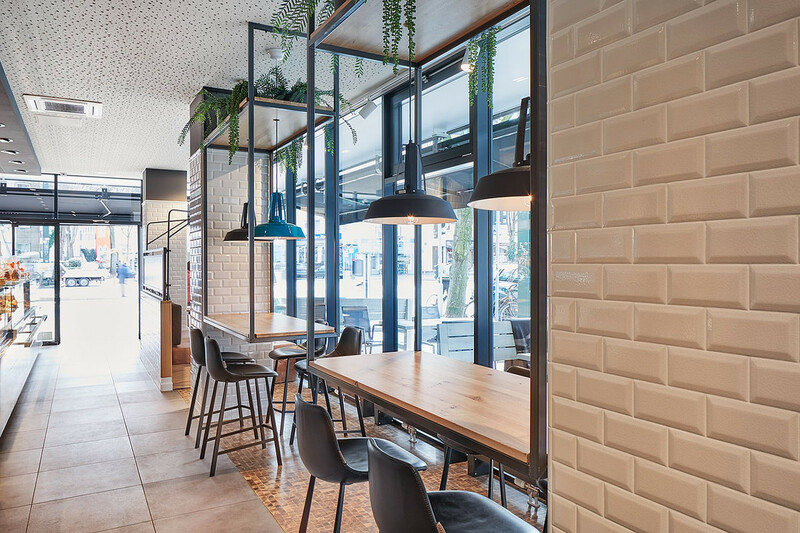 High-quality materials such as fine marble-effect stoneware, brass, black steel, natural oak and end-grain parquet flooring create a very special atmosphere. 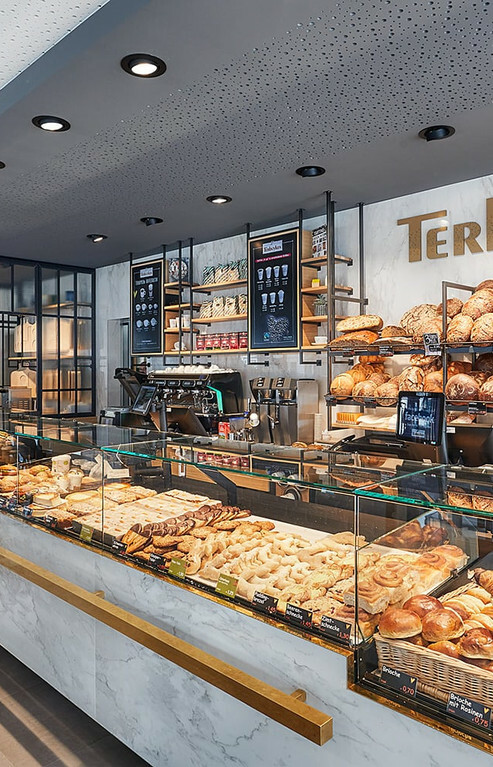 With its back panel and counter clad in fine marble-effect stoneware, the counter area is a true eye-catcher. 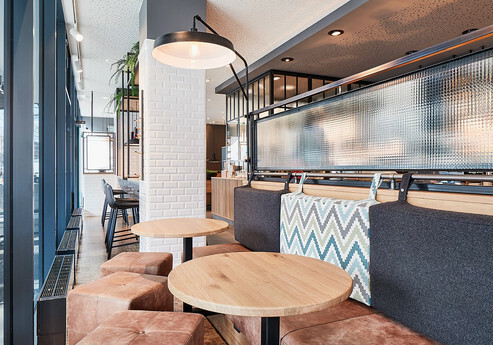 The exceptional seating concept includes brass table tops, suspended bistro tables opposite of the counter area for guests with little time to spare, and a seat bench as room divider with a view out of the window. The carefully selected and focused lighting creates interesting light and shade contrasts, creating a cosy atmosphere for customers and setting the perfect stage for the product offering.